Hi, my name is Alex Minkoff. I live in Queens, NY, and I've been building websites for 15 years. I am a full stack developer — I can take any web design and turn it into a fully functioning website. I specialize in LAMP, WordPress, and React, but I am a true generalist who has worked with countless languages, platforms, and tools. I take pride in the precision of my work and my ability to solve complex problems quickly. If you or your team needs help building a website, please feel free to get in touch. GNYHA (Greater New York Hospital Association) is a network of hospitals in and around New York State. 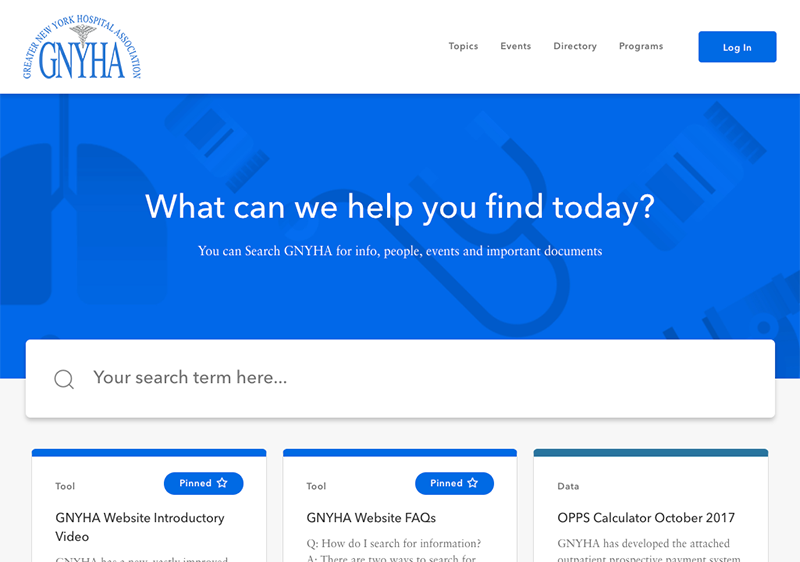 Their website contains a searchable database of news articles, position papers, interviews, tools, data, programs, events, and directory contacts. We re-built their site from the ground up using WordPress. It features an original theme and several custom plugins. A detailed list of my past work experience can be found on my resume. If you would like to contact me, you can reach me by email (alex@alexminkoff.com) or phone (973-876-4962).